In the shadow of ground zero, they point at the hole in the skyline and they raise their hands to their mouths and stand in silence. They walk next to the 56-foot-long bronze depiction of America’s darkest moment and stop to stare at the poster taped to the wall nearby, the one depicting 343 faces of firefighters who never came home on Sept. 11, 2001. They close their eyes and remember. The jet turning and ripping through the side of one of the steel-and-glass-sheathed buildings in a fireball. The smoke billowing skyward. The collapse of two buildings that stood as the very symbol of the economic and engineering might of the United States. The confusion and then the sense of collective unity for perhaps the only time since Pearl Harbor or maybe the assassination of John F. Kennedy. Ten years after coordinated terrorist attacks ended 2,977 lives and altered the world in countless ways, those memories remain. Today there is also war fatigue, a fragile economy, more stringent security at airports and the frustrating partisan bickering that has come to define American political life. But there is something else too. – There is a near universal feeling of reverence for that day, for all of those who were lost, even for the twisted artifacts pulled from the rubble. And there is an ongoing quest that continues a decade later to put that day into some kind of perspective, to say about it something important and lasting. The legacy of Sept. 11, 2001, takes on different forms in different places. Here, on the streets around the World Trade Center, it may be in the New York forcefulness of a plumber who voices his own sense of loss intermingled with the pride of knowing that he is helping to rebuild. In Washington, D.C., it can be reflected in the face of a college student, standing in the Lincoln Memorial considering what freedom means — and what it costs. In Denver, it can be found in a sculpture fabrication studio, where a gnarled piece of steel from the twin towers will be transformed into a display that will touch people. And in a three-stoplight town in Kansas, it is illustrated in the adoption of a New York firefighter’s family and an audacious effort to build a 9/11 memorial that is ambitious far beyond anything a community of 2,297 ought to be able to pull off. Along Greenwich Street, the noise never stops. Diesel engines thrum incessantly. Boring machines thump-thump-thump as they pound a hole deep into the earth. A tractor’s backup alarm screeches. The scene of America’s greatest national wound — the 16 acres now known as ground zero — is slowly being healed by an army of construction workers. That work goes on, day and night. One World Trade Center — known for a time as the Freedom Tower — has passed 78 stories and is climbing higher by the day. It’s already more than 200 feet taller than anything in Denver. Eventually, its spire will stretch up 1,776 feet — a bold statement in a bold city. A tourist snaps a photograph while peeking through a small hole in the green nylon fabric stretched across the fence separating the sidewalk from the construction zone. A woman in a burka walks by, oblivious to the burly construction worker in the day-glo orange T-shirt, the one that says “Seal Team Six — Who’s Next?” on the back. Down the street, at the top of a weathered steel staircase, Matty Tingo, 47, savors his midday break. A plumber, he has been at ground zero for two years, part of the crew completing two acre-size fountains that officially come on today, fountains that mark the footprints of the twin towers. His jeans are faded, his work boots scuffed, and his lunch is a ham sandwich, two bottles of Lipton iced tea, “and as many cigarettes as you can smoke in half an hour,” he says. For him, the aftermath of Sept. 11 represents steady work — and powerful emotions. Building the fountains has been a constant reminder of what happened 10 years ago. In the past decade, he has grown cynical. “Every time I see the site, I think, we seem to help everybody — this country helps everybody,” says Hartmann, 49, a fellow plumber whose voice is pure New York. “We dole out billions of dollars, and, for lack of a better word, we got sh– on. There’s everybody here. Muslims. Jews. Christians. They’re all trying to make it here, to make a living, and this is what we get? This was a good idea? Two blocks away, at the corner of Greenwich and Liberty, stands the home of the Fire Department of New York’s Ladder Co. 10 and Engine Co. 10 — “Ten House” — the closest firehouse to the World Trade Center. It lost six men on Sept. 11. The firetrucks poised for the next call have “Still Standing” painted on them, and a bronze memorial to Sept. 11 stretches along the outside of the station’s west wall. Each day, hundreds of people make the pilgrimage to this corner. On a muggy morning, Orliaguet de Graaf and Didier Manon were looking above the construction fence at the empty place where the twin towers once stood. For a minute, they are quiet. “I wanted to see this because last time I was here it was the big towers,” de Graaf says. Manon and de Graaf are both 37, both from Amsterdam. The attacks still shake them. For each of them, there is a moment that lingers. The first plane hit. An accident, some thought — reminiscent of an October 1992 crash in Amsterdam in which a 747 cargo plane plummeted into an apartment complex, taking 43 lives. 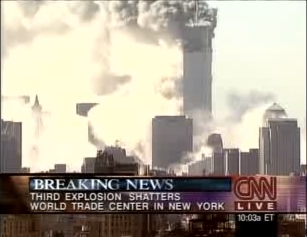 But then the second plane hit the second tower. “When I saw the terrible crime, I couldn’t believe it,” de Graaf says. As they talk and look and point, they are solemn, but not somber. And they remember. “It feels like it in here,” Manon says, patting her breastbone. Sunlight burns through the morning haze, casting the Washington Monument in stark silhouette. Its rays knife between the columns of the Lincoln Memorial, splashing across the marble and up the legs of the most famous statue in a town full of them. In the distance, work progresses to rebuild the reflecting pool, a project aimed at fixing leaks and — in a sign of the times — improving security. Off to one side of the massive sculpture of Lincoln, Grace Hernandez stands in utter silence, oblivious to the construction noises, to the runners padding up the 58 steps to the memorial’s main level. Hernandez, from Joliet, Ill., is a student at Lewis University, where she is studying special education with the goal of becoming a middle school teacher. Her trip to Washington has been one of reflection. She’s visited all the monuments and thought hard about what they represent. For her, it’s all intertwined — what happened on Sept. 11, 2001, the day a teacher ran into her classroom with the news that planes had hit the twin towers, American history, concepts including freedom and liberty, and the knowledge that men and women her age sign on to a life in the military in a time of war. Her thoughts toggle back and forth, from this place and what’s represented to that day half her life ago. For others, the aftermath of Sept. 11 is more visceral. David Campbell has worked for the National Park Service for 26 years, all of it on the mall. He spent time at the Thomas Jefferson Memorial and the Washington Monument. Now he is assigned to the Lincoln Memorial. He spends this morning with a squeegee, sweeping the water of an overnight rain off the steps, and with a mop, working it back and forth across the marble floor. Every few minutes, the air is pierced by the rumble of an airliner lifting off from nearby Reagan National Airport. He pauses for a moment and watches, unable to stop himself. Unable to keep from making sure the plane passes safely. State Highway 2 cuts across harvested wheat fields left golden and crumbly dry by an unrelenting drought. It funnels down a hill past the abandoned drive-in movie theater, the Dollar General and the boarded-up filling station, past the gravel lot full of John Deere tractors and implements, and stops at the McDonald’s in this three-stoplight town located 12 miles from the Oklahoma border. On the left sits Memorial Park, and in one corner, next to a corrugated metal building, stands the official Sept. 11 memorial for the state of Kansas. On a brutally hot summer noon, three flags snap in the breeze. One for the United States. One for Kansas. One for New York. Below them, encircled by bricks and mortar, rest three chunks of steel from the World Trade Center, a brick from the Pentagon, and a glass-enclosed case holding ash and dirt from the field in Pennsylvania where the fourth plane crashed. The memorial is here despite the fact that Anthony has no direct connection to New York, or the Pentagon, or Shanksville, Pa. — no town native died in the twin towers or on one of the planes, or in the wars that followed. And yet, in the dark days after Sept. 11, 2001, a man named John Schott, who owned the True Value hardware store on Main Street and was the town’s mayor, grew restless to do something tangible about the pain and the loss. Today, the effort that grew from that idea is a point of pride in a community that is the very picture of a small town on the high plains of the Midwest. The twin silos of Anthony Co-Op dominate the skyline, and a sign in the office window carries the latest bushel price of the crops grown in the area — wheat ($7.55), milo ($6.33), corn ($6.98), beans ($13.43). Anthony is facing the same challenges as plains towns all over the Midwest. Declining population. Empty businesses, like Phillips 66 on Main Street, bindweeds poking through the cracks in the concrete out front. There’s hope for a community project to reopen the movie theater — the marquee urges people to “like us on facebook” — and there’s an effort to impose a new sales tax to rebuild a block of Main Street leveled by fire a couple years ago. It is a town rooted in faith — inside the Irwin-Potter Rexall drugstore, a sliding glass door leads to a prayer and healing room. The stained glass window above it includes a biblical verse, “With healing in his wings” — Malachi 4:2. Joe Brummer, who has owned the drugstore for 30 years, sits at a table next to the soda fountain and talks about his business, his town and, ultimately, the memorial. He points immediately to John Schott. “It was just on his heart to do something for them,” Brummer says. “I think it says we’re patriots. More than that, I think it says we care. That’s important. People need to know that you care. The chunk of steel is about 12 feet long, roughly 14 inches on a side, and includes a plate that is nearly 4 feet wide. The ends are twisted and bent, a dent is gashed down one side, and spray-painted markings that may hold a clue to its original location — S 6 and C 41 — are faded and rusted. It weighs between 800 and 900 pounds. So far, it’s been seen by only a few people, and in recent weeks it rested in a metal shop not far from the Denver stockyards, awaiting its permanent home. But, invariably, those who have glimpsed it have treated it with a mix of reverence and awe. This piece of steel came from the south tower of the World Trade Center and is destined for display in Denver at an exhibit at the Counterterrorism Education Learning Lab downtown. Known as the CELL, the center is part museum, part classroom, a place where visitors can see the reality of terrorism and learn about some of the tactics that may prevent it. “What we have found is that these artifacts symbolized to people the lives that were lost, and symbolized to people the importance of making sure our country prevails over these threats,” says Melanie Pearlman, the CELL’s executive director. The center is closed for remodeling, but when it reopens in late September or early October, the beam from the World Trade Center will be on display, at approximately a 45-degree angle. Visitors will be allowed to touch it. After Riche’s workers took possession of the beam earlier this summer, they had a unique challenge — design a system to support it without attaching anything to it. No bolts. No welding. When Riche’s firm was first selected, he says, a kind of strange anticipation overtook him. “I couldn’t wait to get it here,” he says. After it arrived, that was eclipsed by the fact he had a job to do. Then workers in his shop used a hoist to tip it up to the approximate position it will be in when it is displayed, and debris tumbled out the bottom of the beam. Dust. Shards of rust. Concrete chips. A pack of cigarettes. Riche’s crew carefully picked up the debris and placed it in jars. Its ultimate destination hasn’t been determined. The project involving the beam is part of a larger effort to memorialize Sept. 11 — and all victims of terrorism — in Denver. The second phase involves the rededication of Babi Yar Park in southeast Denver — originally created as a memorial to victims of the Holocaust — into an all-encompassing monument to those who have lost their lives as a result of genocide or terror. Plans were already underway to create a major new memorial at the park to take its meaning far beyond the slaughter of Jews by Nazis. That memorial, which is expected to include a hollow cube that may be 60 feet square and would be placed along Havana Street, is several years away. In the meantime, in partnership with the CELL, the decision was made to erect another memorial in the park incorporating more artifacts from the World Trade Center. “The idea is to try to link all those things as acts of inhumanity, and to appeal to the world about them,” says Alan Gass, a Denver architect who was involving in the creation of the park in the early 1970s. That memorial, which is probably a year or more away from completion, won’t be to Sept. 11 specifically, Gass says, but to the people of 90 countries who lost their lives that day. The pea gravel crunches underfoot, and trickling water obscures the traffic on the expressway just over the hill. A stainless steel line cuts across the ground, marking a year in time — 1998. A stainless steel bench stretches up and out, curving away from its base like a porpoise rising up out of the sea, and engraved in one end is a name. Dana Falkenberg. The youngest victim of the crash of American Airlines Flight 77 was just 3 years old on Sept. 11, 2001, and the bench erected in her honor is the first one visitors reach after entering the memorial to the tragedy on the west side of the Pentagon. As the reality that a little girl died that day settles in, there is another assault on the mind. Below little Dana’s bench, just under the surface of the water, three more names are etched on a stainless steel plate. Her mother. Her father. Her older sister. An entire family, wiped out in the crash of Flight 77 into the Pentagon. There are 184 benches stretching across the memorial, one for each of those who died on the plane or in the building — culminating at the far end with John D. Yamnicky Sr., born in 1930. As dusk descends on the memorial, Bob and Sally Shields stand together, listening to a recorded tour, stock still as they recall that day 10 years ago. The couple is from Cincinnati, but Bob Shields works for IBM and is currently commuting to Washington for a project. “I’m a Vietnam vet — it’s about as moving as that,” Bob adds, alluding to the memorial to his war carved into the ground on the Washington Mall. The couple had driven to Washington and decided to visit the memorial on this evening. They both remembered watching a televised special when it was dedicated in 2008, but after they’d spent a quiet hour walking through, listening to the recording, looking at the benches, and imagining the exact spot on the building where the plane hit, they realized they were not prepared for the powerful emotions it would roil inside them. “Viscerally, it makes me angry — it angers me, angers me! — the evil that goes unchecked,” Sally says. John Schott bounces up from behind his desk in the office at the True Value, wearing a pair of shorts and a golf shirt. He and his wife, Pam, came to Anthony 16 years ago from Los Angeles, looking for a quiet place to raise their two kids. Now the kids are raised, and John and Pam are preparing to move on — the True Value and their Victorian home on Jennings Avenue are for sale. But before they write that next chapter in their lives, John steps behind the front counter and, between customers buying paint and drill bits, tells the story of Anthony, of Sept. 11, and of a small town that wanted to do something important. And did. Schott was on his way to the store that morning a decade ago when the words came over the radio. At first, it seemed an accident — a plane hitting a skyscraper in New York. Then, more news. A second plane. A third plane, and a fourth. And a kind of universal disbelief and numbness set in. “My first reaction was — I was, of course, angry, and saddened, but I wanted to do something,” he says. In the beginning, the something was simple. Donations were collected. Money was contributed to relief agencies. And then, amid questions about where that money was actually going, and what it was actually doing, Schott decided he wanted to do something more substantial, something that would let him look his neighbors in the eye and tell them exactly what their efforts meant. Donna Crowe, the administrative assistant at the police department and the town’s grant writer, had been calling New York at Schott’s suggestion, looking for someone to help. And Crowe, who spent days after Sept. 11 sleeping on the floor between her two young children to try to reassure them, called and called. So Schott called and asked. Joseph P. Spor Jr., the son of a New York firefighter who had achieved his dream just before Sept. 11 by being assigned to Rescue 3 in the Bronx, had perished in the collapse of the south tower. Schott talked his way through the mistake, and before long the town of Anthony adopted Joe Spor’s family — his wife, Colleen, and the couple’s four children. Residents raised money to help finish the basement at the family’s home, and the town sent birthday and Christmas presents to Spor’s children. Schoolchildren baked cookies and wrote notes and sent them to Spor’s firehouse. Huber traveled to Anthony, and, as Schott describes it, this little farming town on the road from Harper to Kiowa and a group of New York firefighters began a relationship. If there’s anything you should know about John Schott it’s that he is persistent. Eventually he got what he wanted. And then he decided the town would like to have something from the Pentagon, and from Shanksville, Pa., where United Flight 93 crashed. Each time, Schott persisted until someone said yes. The town set up a committee, raised $80,000 and built a memorial, one that incorporates artifacts from all three crash sites. “That’s a memorial to what was really important that day,” Schott says. “It wasn’t the 19 people who crashed the planes. It was about the 343 firemen, and the policemen who went into those buildings to help their fellow human beings. And it’s in a little town in Kansas. It’s a renewal of the spirit of humanity and America, and selflessness, and compassion. Out west of town, past the airport and just beyond a small bridge, Doris Seipel, 66, steps from a farm truck and takes refuge in the shade of a tree’s canopy. Her husband, Charles, is on his way home from town — there’s a combine to wash and a tractor to move on the couple’s farm. As she talks, the heat of another dry day is setting in. “It’s something you don’t want to ever forget. You want to stay in forgiveness on it, but, uh,” her voice trails off, and she pauses, then continues, “pray for those that were being deceived into doing that. Because they’ve got to get it turned around or they’re going to an evil place. Just then, Charles pulls in. He is 76, and he wears a grubby hat advertising a seed company in Wichita, and one look at his hands confirms that he is a farmer — the skin is tanned and weathered, a chunk of one fingernail is gone and another is sort of purplish-black. He’s farmed for 50 years, growing wheat, milo, alfalfa and soybeans. He was on his John Deere that day a decade ago, listening to the radio. For a time, he didn’t believe his ears. He uses words like “bad” and “sad” to describe what happened. The headstone stands erect, a marble marker in a sea of them, row after perfect row undulating across the grassy slopes. From the road, it is indistinguishable from the rest except for one thing — 12 stones rest on its curving top, left by visitors as a sign of reverence. Tour guide Dianne Carson lifts a microphone to her mouth at Arlington National Cemetery. Arlington is where America remembers. Its 624 acres include graves for those who have died in every American conflict since the Civil War, monuments to everyone from the Rough Riders to those who died in the 1980 Iran rescue mission, the final resting place of President John F. Kennedy and two of his brothers, the solemn Tomb of the Unknowns. She came here 11 years ago after retiring from a job writing speeches for the Treasury Department. She had hoped to travel, but her husband wasn’t much interested, she says, so she came to Arlington. “I didn’t go to the world — the world comes to me,” she says on a break. For Carson, 69, Sept. 11 was a defining moment, one that she took in and drew close to her. Her husband had worked in the Pentagon at one time. Her daughter was a Washington police officer. Her cousin worked in the twin towers but wasn’t there that day. Still, she couldn’t help but think that any one of them could have perished. Soon a muffled volley of rifle shots cracks somewhere in the distance. And then another, and another — a salute to a service member going to the grave, one of the roughly 25 to 30 funerals that occur each day at Arlington. Over in Section 60, far from the tourist trolley’s regular route, men and women who died in the wars that have unfolded since Sept. 11 are buried. There are about 825 of them, and while their marble markers look like all the others, there is the feeling that this is fresh, not history. At the grave of Laurent J. West, who was not quite 33 when he died in a roadside bombing in Iraq on March 11, 2008, a child’s plastic Lego bricks rest in the grass, and a note from his wife is nestled against the stone. In another part of Section 60, in grave 8760, rests Pfc. Jessica Y. Sarandrea, 22, of Miami. She was on a forward operating base in Mosul that came under mortar attack on March 3, 2008. Two sections over, Sgt. Gustavo Diaz pats his caparisoned horse, Sergeant York, as he passes the time between funerals. Diaz, 25, is assigned to the caisson platoon at nearby Fort Myer, and it is his job to pay tribute to the fallen by leading this riderless horse along in a funeral procession. His ceremonial dress wool uniform is impeccable — you can see your reflection in his polished black shoes — save for the dried horse drool on his midsection, an occupational hazard. Six ceremonial medals hang on his chest: the Army Commendation, Army Achievement, Good Conduct, National Defense, Iraq Campaign and Global War on Terrorism. He joined the army right out of high school, twice was deployed to Iraq and decided after the combat death of a close friend that he wanted to be assigned to Arlington, to have some hand in paying tribute to the men and women who have served and died in a post-Sept. 11 world. His friend was Pfc. Jessica Y. Sarandrea. Robert Cini of Mount Laurel, N.J., sits on a bench in an ancient cemetery just across Trinity Place from ground zero, resting after participating in an environmental cap-and-trade protest. Ask him about Sept. 11, and what he thinks about it, and he doesn’t hold back. WASHINGTON, DC--The 110-story towers of the World Trade Center were obliterated. The Pentagon suffered massive damage. This much is clear. Much else remains a mystery. On September 11, 2001 -- we're told, American Airlines Flight 11, a Boeing 767 out of Boston for Los Angeles, crashed into the north tower of the World Trade Center in New York at 8:48 a.m. Eighteen minutes later, United Airlines Flight 175, a Boeing 767, headed from Boston to Los Angeles, crashed into the south tower. American Airlines Flight 77, a Boeing 757 from Washington's Dulles International Airport bound for Los Angeles, crashed into the western wall of the Pentagon at 9:40 a.m. United Airlines Flight 93, a Boeing 757 flying from Newark to San Francisco, crashed near Pittsburgh. Within days Osama Bin Laden was offered as the prime suspect, although Bin Laden himself denied this "in a statement issued to the Arabic satellite channel Al Jazeera," and in an interview published in the Ummat -- a Pakistani paper, is reported to have said: "I have already said that I am not involved in the 11 September attacks in the United States." Europol's director, Jurgen Storbeck (London, Telegraph, September 15, 2001), stated: "It's possible that he [bin Laden] was informed about the operation; it's even possible that he influenced it; but he's probably not the man who steered every action or controlled the detailed plan." President Bush, however, ignored Europol's doubts, reneged on Secretary of State Colin Powell's pledge to provide evidence, and named Osama bin Laden, and Al Qaeda as the perpetrators. Now many insist that the U.S. government's version of events is either incomplete, or inaccurate. A best-selling French book, The Frightening Fraud, by Thierry Meyssan, makes the farfetched claim that the "U.S. invented air attack on Pentagon." We believe that it's premature to draw conclusions about what really happened--relevant questions have yet to be answered. For starters, in the Pentagon crash site photos, there's little or no evidence of the plane that struck the Pentagon. I live about one-half mile from the Pentagon. The first question that I asked other onlookers as we viewed the crash site was, "Where's the plane?" The hole in the Pentagon wall appears too small to have been caused by a Boeing 757. Indeed, early reports claimed that a truck bomb had exploded, and the damage was similar to that inflicted on the USS Cole in Yemen. The gash in the hull of the USS Cole was reported to be about 30 feet by 40 feet. Arlington County Fire Chief Ed Plaugher, at a News Briefing held by Assistant Defense Secretary Victoria Clarke on September 12, 2001 at the Pentagon, when asked: "Is there anything left of the aircraft at all?" said: "First of all, the question about the aircraft, there are some small pieces of aircraft visible from the interior during this fire-fighting operation I'm talking about, but not large sections. In other words, there's no fuselage sections and that sort of thing." Did Chief Plaugher not see the plane's engines? Wouldn't the engines have survived in some recognizable form? An engine from one of the planes that struck the World Trade Center was shown lying on the street on network television. So was an engine from American Airlines Flight 587 which crashed shortly after takeoff in New York on November 12, 2001. Another question put to Chief Plaugher at the briefing was: "Chief, there are small pieces of the plane virtually all over, out over the highway, tiny pieces. Would you say the plane exploded, virtually exploded on impact due to the fuel . . ." Plaugher responded: "You know, I'd rather not comment on that." How did "small pieces of the plane" end up "out over the highway" when the plane reportedly disintegrated inside the Pentagon after it crossed the highway and hit the Pentagon? It is curious that at this Department of Defense News Briefing, held approximately 24 hours after American Airlines Flight 77, a Boeing 757 which departed from Dulles airport is said to have crashed into the Pentagon, the words "American Airlines", "Flight 77", "Boeing 757" were not even mentioned. The word "plane" was mentioned once, but Chief Plaugher would "not comment on that." It is even more curious that national news media failed to follow up on Chief Plaugher's comment that "there's no fuselage sections and that sort of thing" when dozens of onlookers, relatives, and firefighters were interviewed on network television about the planes that crashed into the World Trade Center. - What are the odds that all the "black box" flight recorders were damaged beyond use? - Why were the alleged hijackers' names not on the passenger lists? - Why are several alleged hijackers reported to be still alive? - Why did Mohamed Atta, one of the alleged hijackers, take a suitcase containing a curiously worded will and burial instructions on a suicide flight? - Why did the seat numbers of the hijackers, given in a cell phone call from Flight Attendant Madeline Amy Sweeney to Boston Air Traffic Control, not match the seats occupied by the men the FBI claims were responsible? - Why were none of the attacking planes intercepted? It is reported that planes are routinely intercepted if they deviate from their flight path and contact can't be made. - How did the terrorists obtain top-secret White House and Air Force One codes and signals--the stated reason for not returning President Bush promptly to Washington on September 11? - Why did the Justice Department deny a surveillance warrant for Zacarias Moussaoui? Since 1978, it is reported, more than 12,000 such warrants were issued, only Moussaoui's was denied. - Why does the U.S. not hold hearings on these questions, when it would serve the U.S. objective of keeping Americans focused on the "war on terrorism?" Others besides bin Laden, also had the motive, means, and opportunity to carry out the attacks of September 11. Indeed, Israel, and possibly, the U.S. armed forces should not be arbitrarily ruled out. On the day of the attack on America, the Washington Times quoted a paper by the Army School of Advanced Military Studies which said that the MOSSAD, the Israeli intelligence service, "Has capability to target U.S. forces and make it look like a Palestinian/Arab act." Dozens of Israelis were reported to have been arrested, but the role played by this "huge Israeli spy ring that may have trailed suspected al Qaeda members in the United States without informing federal authorities" remains unclear, and "it is no longer tenable to dismiss the possibility of an Israeli angle in this story." Field reports by the Drug Enforcement Administration agents, and other U.S. law enforcement officials, on the alleged Israeli spy ring have been compiled in a 60-page document. John F. Sugg of the Weekly Planet (Tampa, Florida, April 22, 2002) reported that "DEA agents say that the 60-page document was a draft intended as the base for a 250-page report. The larger report has not been produced because of the volatile nature of suggesting that Israel spies on America's deepest secrets." James Bamford, formerly Washington Investigative Producer for ABC's World News Tonight with Peter Jennings, and who has written investigative cover stories for the New York Times Magazine, the Washington Post Magazine, and the Los Angeles Times Magazine, describes an operation which suggests that even the U.S. armed forces may be suspect. Mr. Bamford's book, Body of Secrets: Anatomy of the Ultra-Secret National Security Agency from the Cold War Through the Dawn of a New Century, reveals that the U.S. Joint Chiefs of Staff (JCS) drew up and approved plans for "launching a secret and bloody war of terrorism against their own country in order to trick the American public into supporting an ill-conceived war they intended to launch against Cuba." Mr. Bamford writes: "Codenamed Operation Northwoods, the plan . . . called for innocent people to be shot on American streets; for boats carrying refugees fleeing Cuba to be sunk on the high seas; for a wave of violent terrorism to be launched in Washington, D.C., Miami, and elsewhere. People would be framed for bombings they did not commit; planes would be hijacked. Using phony evidence, all of it would be blamed on Castro, thus giving Lemnitzer [Chairman JCS] and his cabal the excuse, as well as the public and international backing, they needed to launch their war." September 11 was a godsend for the U.S. military-industrial complex. A $48 billion increase in the "defense" budget sailed through both houses of Congress, bringing U.S. military spending to $379 billion. This, according to the Washington Post (January 27, 2002), represents "the biggest one-year rise since the Reagan buildup two decades ago and a suspension of 'the peace dividend.'" . . . It matches the combined military spending of the 15 countries with the next biggest defense budgets. (The proposed increase alone is about the same as the entire defense budget of the next biggest spender--Japan.) . . . It would roughly match, in inflation adjusted terms, the U.S. defense budget in 1967, at the height of the Vietnam War. And for 2003 the president's budget directs an additional $37.7 billion to "homeland security." U.S. energy companies may also be about to receive a dividend. The events of September 11, led to the U.S. war on Afghanistan--a war apparently planned prior to September 11, and possibly after U.S. negotiations with the Taliban for the Turkmenistan-Afghanistan-Pakistan (TAPI) pipeline broke down. According to the BBC (September 18, 2001), Niaz Naik, a former Pakistani Foreign Secretary, was told by senior American officials in mid-July that military action against Afghanistan would go ahead by the middle of October. "The Bush administration agreed on the day before the Sept. 11 attacks to force the Taliban from power in Afghanistan. That was part of the conclusion issued by the independent 9/11 commission" reported DemocracyNow. 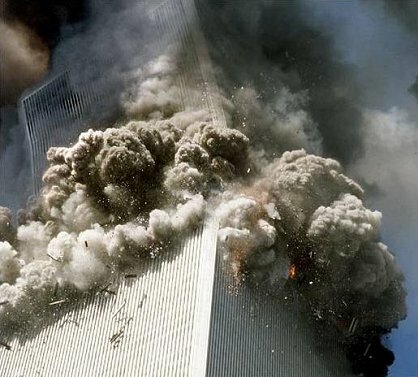 The events of September 11 also led to an open-ended "war on terrorism," which helped justify enormous increases in "defense" and "security" spending, and the passage of "anti-terrorism" legislation long desired by some in the Justice Department. According to The Irish Times (February 11, 2002), "The Pakistani President, Gen. Pervez Musharraf, and the Afghan interim leader, Mr. Hamid Karzai, agreed yesterday that their two countries should develop 'mutual brotherly relations and cooperate in all spheres of activity' -- including a proposed gas pipeline from Central Asia to Pakistan via Afghanistan." It's curious that these two leaders, who only later vowed to "bury the recent history of poisonous relations" between their nations (Washington Post, April 3), could agree so quickly to the pipeline. Afghanistan's interim president Hamid Karzai, and Zalmay Khalilzad, the Bush-appointed special envoy to Afghanistan, may have facilitated the agreement. According to George Monbiot (Guardian, February 12): "Both Hamid Karzai, the interim president, and Zalmay Khalilzad, the US special envoy, were formerly employed as consultants to Unocal, the US oil company which spent much of the 1990s seeking to build a pipeline through Afghanistan." Zalmay Khalilzad drew up Unocal's risk analysis on its proposed trans-Afghan gas pipeline according to the Irish Times. The Taliban, after initially negotiating with Unocal, had begun showing a preference for Bridas Corporation of Argentina. While relevant questions regarding the September 11 attack went unanswered, without the benefit of UN resolutions, and despite the fact that the Taliban stated their willingness to give up Osama bin Laden for trial to an international court, the U.S. launched it's war on Afghanistan--one of the world's poorest countries, already devastated by 23 years of war and civil strife following the Russian invasion of 1979. Irwin Arieff of Reuters reported (Reuters, October 8, 2001) that U.S. Ambassador John Negroponte said, in a letter to the 15-nation Security Council, that the investigation into September 11 attacks on his country "has obtained clear and compelling information that the al-Qaeda organization, which is supported by the Taliban regime in Afghanistan, had a central role in the attacks." The letter added, "there is still much we do not know. Our inquiry is in its early stages." Negroponte added, however, that "U.S. military raids on Afghanistan, joined by Britain, were launched Sunday under the authority of Article 51 of the UN charter, which allows nations under attack to defend themselves." This despite U.S. statements that 15 of the 19 alleged hijackers were citizens of Saudi Arabia. The war in Afghanistan created a million new refugees (adding to the existing five or six million), caused the death of 4000 civilians (about 2800 civilians were killed in the September 11 attack), and President Bush seemed intent on continuing his father's Crusade. Former president Bush is reported to have told U.S. troops in Kuwait (AFP, Janurary 19, 2000) that they were "doing the Lord's work." Begun as Operation Infinite Justice, President Bush has vowed to save civilization itself. He has expanded his Crusade to the brutally repressed Moros of the Philippines. Israel's attack on Palestine has delayed his promised attack on Iraq. Yet more than six months after the U.S. launched its "war on terrorism," hard evidence regarding the September 11 attack remains scarce. FBI Director Robert S. Mueller III, in this speech at the prestigious Commonwealth Club of California on April 19, 2002, said: "In our investigation, we have not uncovered a single piece of paper--either here in the United States, or in the treasure trove of information that has turned up in Afghanistan and elsewhere--that mentioned any aspect of the September 11 plot."